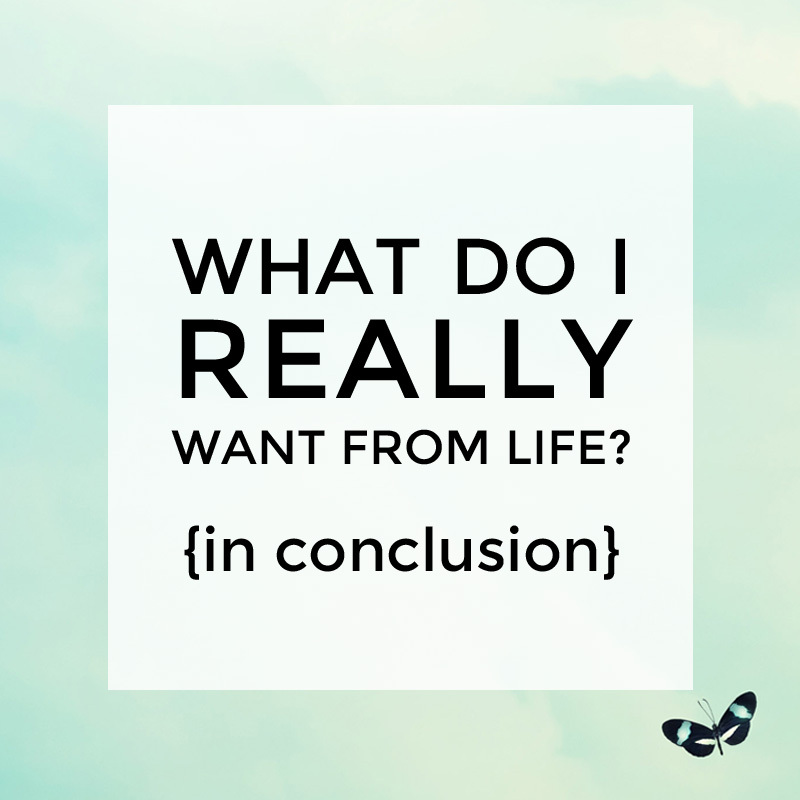 Hello there and welcome to the final day of ‘What do I really want from life?’. Made a good start on answering the question ‘Who am I’ and you’ve asked whether the world is seeing that person or not … and if not, why not. Identified your personality type and got a feel for what kind of thing motivates people with your personality type and makes you ‘buzzy’. If the reason you did this five day series is because you’re trying to figure out your thing and you think there is only one thing for you … watch this. Play close attention to the bit where he says: “when you know your why, you have options on what your what can be.” And then make sure to watch right through to end to see the difference between knowing your ‘what’ and your ‘why’. My hope is that this series of posts has given you a feel for what your why is. Make the commitment to start small. A MAJOR reason people find themselves a little lost or dissatisfied in life is because there is no space in their day for them to just BE themselves. And generally speaking, this space doesn’t just present itself, you need to create it. So start with creating 15 minutes of space in your day, each day. Even if you have to get up a little earlier or stay up a little later – just carve it out. It must become a habit. And then once it’s a habit, carve out a bit more. And once you start seeing the results of having this space in your life – the contentment it brings; it will become easier to find more of that space. I so hope you’ve found the exercises in the last five days helpful! If you had a ‘lightbulb moment’ in there, I’d really love to hear about it. Either via email or here in the private Facebook group.